November 5, 2016 samburtonpresents2014 Understanding The BobleBest order to read the Bible, Bible Study, How to read the Bible, Why is the Bible hard to understand? Does that headline resonate with you? It wouldn’t surprise me. Nearly every week, I am asked about the best way to read the Bible, or asked why the Bible is so hard to understand. I totally get that. It can be frustrating when your new to it. One of the reasons the Bible seems so hard is that it’s not in the best order for reading. Say what? I’m serious. If you’re new to the Bible, or have just never seemed to make sense of it, I’m going to clear some of that up for you right now! The Bible is actually a collection of books; 66 of them to be precise. And they are grouped into categories just like a library. In fact, we should think of the Bible as a library of books in a single volume. Just like we wouldn’t go to a public library and start with the first book and read them in order all the way around the walls, we get the most out of the Bible if we don’t read from beginning to end (Genesis to Revelation) the first time we read it. 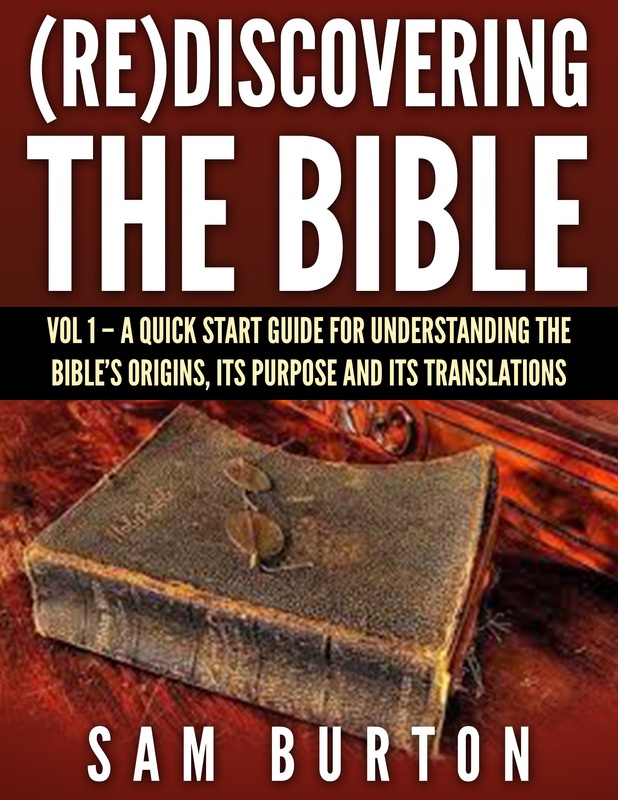 If you want to know more about that, I recommend my book, “(Re)Discovering the Bible Vol. 1”. It’s available on Amazon as an e-book, but you don’t need a Kindle to read it. In the next two paragraphs, I’m giving you a suggested order in which to read the Bible. I am convinced you will get more out of your personal study if you do this. The Bible is divided into two major segments, Old Testament and New Testament. As you can see, I’ve recommended the New Testament first. If you read the NT first it will help you understand the Old Testament much better than if you begin there. Trust me. I highly recommend reading the Gospel of Luke first, followed by the Book of Acts. The reasons are two fold and quite simple. The Gospels tell us who Jesus is, which is the most important thing you and I need to know. The Book of Acts tells us what to do about that knowledge. It’s the only book in the Bible that describes how people became Christians. The second reason I choose Luke and Acts, when there are 3 other Gospels, is that Luke is the author of both books, so they flow very smoothly. See, I told you it was simple. In the next paragraph, you’ll find a recommended order for reading the entire New Testament. Essentially, I tried to put easier to read books first and the more difficult ones towards the end. One more thing; I encourage readers to read through the New Testament twice before moving on to the Old Testament. Mainly, that’s because it really will make the Old Testament easier to grasp. Here’s the full NT reading list in recommended order: Luke, Acts, 1 and 2 Thessalonians, Matthew, James, Mark, 1 and 2 Timothy, John, 1,2,3 John, Galatians, Philippians, Titus, 1 and 2 Corinthians, Ephesians, Colossians, Philemon, Hebrews, 1 and 2 Peter, Romans, Jude, Revelation. Ok, now it’s time for the Old Testament. What I’ve done here is simply put the Old Testament books into an order that breaks up the harder to read ones by including some of the easier to read ones in between the harder ones. That gives our brains a rest. You’re welcome. I do have one more suggestion. Before beginning your Old Testament reading, go through the New Testament Book of Hebrews one more time. I call Hebrews the ‘key to understanding the Old Testament’. It really will help. I promise. My suggested Old Testament reading plan looks like this: Genesis, Joshua, Psalms, Isaiah, Exodus, Judges, Proverbs, Jeremiah, Leviticus,Ruth, Job, Lamentations, Numbers, 1 Samuel, Ecclesiastes, Ezekiel, Deuteronomy, 2 Samuel,Song of Solomon, Daniel, 1 Kings, Hosea, 2 Kings, Joel, 1 Chronicles, Amos, 2 Chronicles, Obadiah, Ezra, Jonah, Nehemiah, Micah, Esther, Nahum, Habakkuk, Zephaniah, Haggai, Zechariah, Malachi. There you have it. Obviously, you can read the Bible in any order you want, but I did this to help those having trouble staying focused and those who were inexperienced with the Bible. As you become more familiar with its message, you may create your own reading plan, or simply go front to back. It’s your call. I hope this helps; I really do. If you have any questions, please use the comments section and ask. Again, I refer you to my book, and encourage you to tune into the (Re)Discovering the Bible Online Radio Show podcast. You can also email your questions to me. Thanks, as always. You rock.